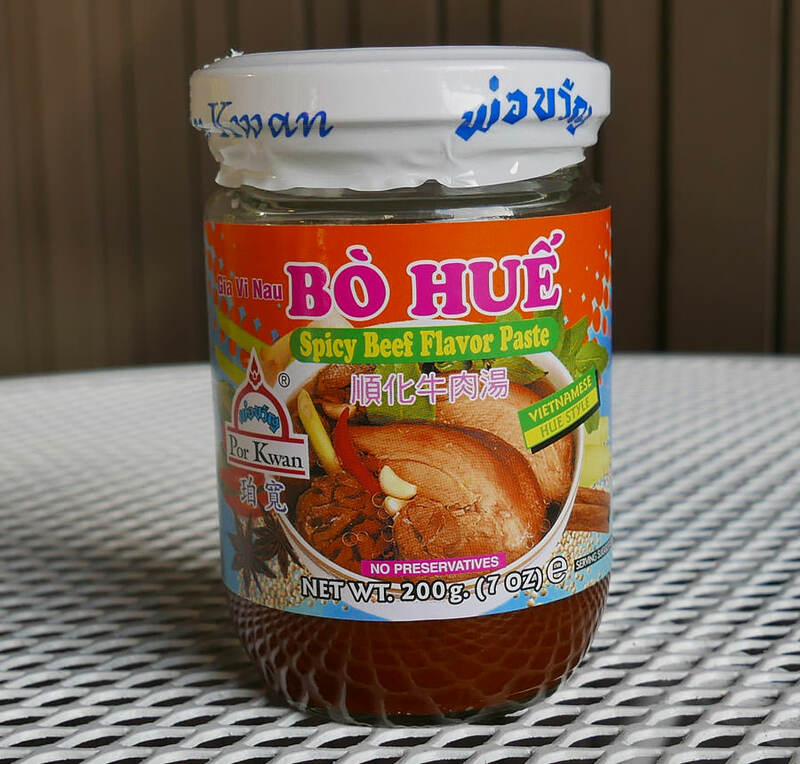 Made in Thailand by Por Kwan, this is used to make delicious Vietnamese style Pho noodle soup. A bit more chile spice than similar product: instant pho paste, this is the Bun Bo Hue style. Add one spoonful to 3 cups of stock, add chantaboon rice stick noodles. Add meat and vegetables as desired, so easy! See photos below and more detail here. Ingredients: lemon grass, onion, soy bean oil, beef artificial flavor, oil, garlic, galanga, salt, sweet basil leaves, hydrolized vegetable protein, msg, spices, chile, caramel color, paprika natural color.